Faithful women like these gather within the walls of their church to fast and pray at least once a week. They sing songs of worship and read the Word of God. Thousands of ladies across Asia attend the Women's Fellowship in GFA-supported churches to seek the Lord and grow in their personal and corporate walks with Jesus. This beautiful congregation in Nepal are now able to worship God together in their own special place of worship—this church building. Gathering together for weekly morning service may be the only time these believers are able to meet together to encourage one another. This was a time of joy! These men and women were gathered to dedicate this newly-built home to the Lord. It was built for a person who had lost their home due to flooding. Reena also lost her home during a flood that happened in her village. Though she lost her husband and her home that same day, she now has a reason to smile. These believers were so full of joy during their time of singing and praising God the morning this photo was taken. There was plenty of time during the service for believers to pray and to share testimonies of what God has been doing in their lives! That morning, the pastor shared a powerful message in his series about the Church. See how church buildings are helping congregations like this one to grow in Christ and serve communities around them. Let's build a church building! It's a slow process. Some congregations pray for years and years before they're able to build their own church building. There are many obstacles along the way, such as finding the land or lacking the funds.  Learn more about church buildings and how you can help provide for congregations in need. One of the greatest needs that believers on the field have right now is for new church buildings to be built. Will you join us in asking the Lord to provide for church buildings in Asia? This is Pastor Pranish. The church building of the congregation he pastors was destroyed by the Nepal earthquake in 2015. The Lord carried him and the other believers through this time, and provided in an amazing way for a new building. Watch the video to see the full story. A church building provides a shelter and a place for believers to gather together to worship the living God. Watch a video about one congregation in Nepal and the impact a church building had on their congregation. Believers gather in buildings of all kinds. As a church grows, a church building provides a place where they meet together, hear the word of God, fellowship with one another, pray and bring glory to God their Father. Learn more about the impact a church building can make in Asia. The priest was Teesha’s only other option. Doctors and medicine couldn’t bring relief from her severe pain; maybe her gods could heal her. Sacrificing a white hen and dove would appease her deities, the priest assured her. After eight years of prayer, this church in Nepal built a place of worship in their community. But three years later, the church building was destroyed during the devastating earthquakes in 2015. Watch God’s faithfulness to provide for the needs of His Church—and see how he used a couple in Canada to do just that. The Lord chooses to work through ordinary people who are available to Him. Kantilal is a man like that. Kantilal has a passion for the people he serves and the men he leads. Read more of his story here. A peaceful moment in an Asian village high in the mountains. Church Buildings like this one provide shelter from the elements, allowing believers to gather in a warm place to worship the Lord together. Watch a video about the impact a church building had on one congregation in Nepal. Believers gather from miles around to worship the Lord and be fellowship with one another. A church building can be a safe haven for people to come seek to know Jesus more. The Cross is a symbol of redeeming love for all to see, showing the both the justice and mercy of God. Church Buildings are places of worship for believers, and can be a place for hurting people to come and find love. Young men and women worship God with total surrender and give up their future in order to follow Christ. Please pray for young people in Asia who are giving their lives to follow God's call to Bible college. Without a proper place to worship, believers don't have a consistent place where they can gather to love on Christ and love one another. Pray more church buildings will be built. This beautiful congregation is able to worship God together in this church building. These people will forever be grateful the work God has done in their lives through such a gift. God is using leaders of Women's Fellowships to disciple new believers and to encourage women who struggle with unloving home environments and health issues. By God's grace, many communities in Asia are discovering the depth of the love of Christ, and lives are being transformed! More than just a place for the congregation to meet, a church building is a symbol to the community that Christ is worthy of worship! Though believers in Asia may have to travel a far distance to get to church, the journey is worth it. There, they can learn from God's Word together and enjoy priceless fellowship with other believers! Sounds of praise fill the air when believers gather to worship the Lord together. The building where they gather, the church building, is a place of worship and discipleship, as well as a place of prayer throughout the week. For many congregations in Asia, church buildings provide continued blessings! Blessed with the shelter of a physical church building, these believers are able to praise God together in one place. Having a permanent structure where believers can meet together is such a blessing and important for the growth of the church, but not every congregation in South Asia has this luxury. Often located near the local church or a believer's home, Jesus Wells give believers the opportunity to build relationships with those drawing water. Praise to Jesus from sincere believers fills this church building. Here, they are free to worship the Lord in any weather, and can come and pray any day of the week. Church buildings enable congregations to grow in Asia. With a building, believers no longer need to meet outside where it’s hot or inside small houses where only a few can fit. Church buildings give believers a place to meet and grow as they share God's love every day of the week, and they help facilitate discipleship activities for the believers. Soon, this church building will not only provide a comfortable gathering place for believers, but it will also broadcast to the surrounding communities that Jesus is faithful, good, powerful and worthy of honor. Scores of congregations in South Asia face various struggles because of meeting in a rented room, shed or under a tree. They often pray for many years to receive permanent church buildings. In a church building of their own, believers are free to worship the Lord in any weather, and are sheltered from anti-Christian forces. In some villages in Nepal, like this village, every structure was destroyed or is uninhabitable due to the earthquakes, and the local congregation of believers has been left without a permanent place to worship. Blessed by a growing number of believers, this congregation, like many others in Asia, has a problem, though not a bad one: they are overflowing their current church building! Even though they have to gather in a temporary structure, this congregation faithfully gathers every week to worship the Lord. A church building is a tremendous blessing for believers, providing a place where they can worship God freely, with no fear of persecution or variations in weather. Many of these believers travel for hours to meet for church in a cramped house, making it is difficult for everyone to meet in one place. Finding dependable meeting places for growing congregations is often problematic. Temporary structures made of straw or mud are vulnerable to bad weather and anti-Christian vandals, while landlords often face pressure from society when renting rooms to believers. The sounds of praise coming from a new church building are a dream for many congregations in Asia. With many new believers, there is a huge and ever-growing need for buildings to shelter them from the weather and anti-Christian forces. The lives of hundreds of thousands of Asian women are being transformed by GFA’s dedicated women missionaries, but millions more still wait. Imagine being packed like sardines in a small hut every Sunday with no air conditioning. For Pastor Sampat's fellowship, "More than 330 believers crammed into one home to worship the Lord. The space limitations made it difficult for them to gather." Founded in 1979, Gospel for Asia exists to bring hope to men, women and children who have never known hope. And congregations like yours are helping achieve that goal. Churches in Asia are being used daily to shelter believers and welcome the lost, though this is often met with much persecution. Many Asian believers are only now discovering the joy of having a church building where they can regularly meet and worship, yet hundreds more are still praying for such a place of sanctuary. This congregation gathers with joy in a temporary structure to gain instruction from God's Word every Sunday. Provide a permanent church building for a congregation in Asia, and enable them to gather even in rain and bad weather. Ninety-eight percent of these graduates minister in places where the Good News has never been shared before. Frequently, Bible college graduates will establish a fellowship within their first year in the field. Send a student through Bible College so they are prepared to be sent to places where the people are hungry to hear about Jesus. Church buildings in South Asia, like this one, are destroyed in the face of persecution, leaving believers with no place to gather for worship. Though the house of worship may be destroyed, believers continue to press on. Pray for those who are persecuted. On November 3 (or any Sunday in November), join churches across the nation in lifting up the persecuted through unified prayer. Every Sunday morning, they leave everything to gather together to worship and grow in Jesus. They are hungry to know Him. See how you can provide shelter, security, permanence and credibility to a congregation. In an effort to keep Christians out of their villages, anti-Christians have destroyed church buildings. Join us in prayer for the persecuted. Having fellowship as the body of Christ! Will you please pray for our sisters in Women's Fellowship, that the Lord will continue to help them grow in Him? Waiting to hear for the very first time! Support a National Missionary today! Find out how can you help believers in Asia worship together. A church building represents more than a convenient place to meet, it is a rock of stability and a beacon of hope for the unreached. A need for church buildings yet exists for many congregations— get involved today!